Healthy teeth that have yellowed with age or stained from coffee, red wine or smoking usually respond well to cosmetic teeth whitening. The solution is professional tooth whitening from an experienced cosmetic dentist. 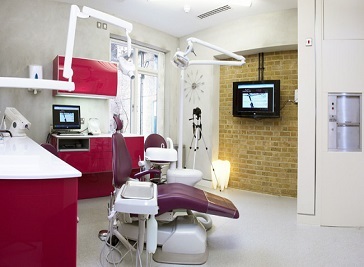 And if you’re in London, SW Smiles would love to whiten your teeth using the Zoom procedure. The Zoom teeth whitening system is a revolutionary procedure that happens while you wait (right here in our London dental surgery). It’s ideal for anyone looking for immediate results. The convenience of the Zoom Teeth Whitening Procedure makes it the perfect choice for busy Londoners. Whiter teeth take years off your appearance, and with proper care your smile will sparkle for years. Take your first step to feeling good, looking great, and making a memorable impression every time you smile with Zoom Teeth Whitening in London. Welcome to Lavender Hill Dental Practice, our aim is to provide Gentle Dentistry in a relaxed and friendly environment. We pride ourselves in offering a vast array of general dentistry to maintain and promote good dental health. Pearl Dental is a completely unique kind of dental practice. From initial design through to the decor and furnishings, every detail has been with patient comfort and care in mind. Our team of experienced dental professionals are committed to delivering the latest knowledge and expertise in preventative, restorative and cosmetic dentistry.